Why should you support the Children's Museum of the Treasure Coast? Children's museums are places where children learn through play and exploration in environments designed just for them. Reflecting their unique communities, children's museums create playful, interactive learning experiences. In an increasingly complex world, children's museums provide a place where all kids can learn through play with the caring adults in their lives. Peek inside a children's museum and you'll see babies and toddlers touching a variety of textures, stacking blocks, sliding down a slide or crawling through a tunnel. 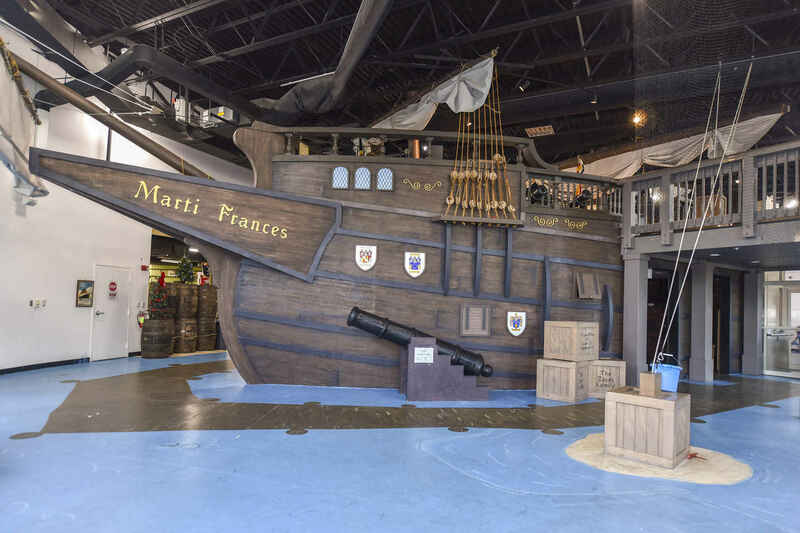 Take another look inside our children's museum and see boys and girls enter a 17th century ship where they hoist the sails, shoot the cannons, listen to and smell the sounds and scents of the open sea, all the while building an understanding of Florida's rich history. Wave goodbye to rigid rules and go ahead and PLEASE, Touch Everything! Please help keep the Children's Museum of the Coast fresh and exciting by donating today! As a former Art teacher in Martin County I encourage all young people to have an education. I am supporting Rosi Shepard, .Rosi believes in & does all things good. She is raising 3 beautiful boys & has spoken highly of the Children's Museum.